The enormous potential of micro-optical systems is already evident today in communications technology and the consumer goods industry. In order to meet the growing demands, micro-optical systems are more and more often made up of several individual lenses with different focal lengths. 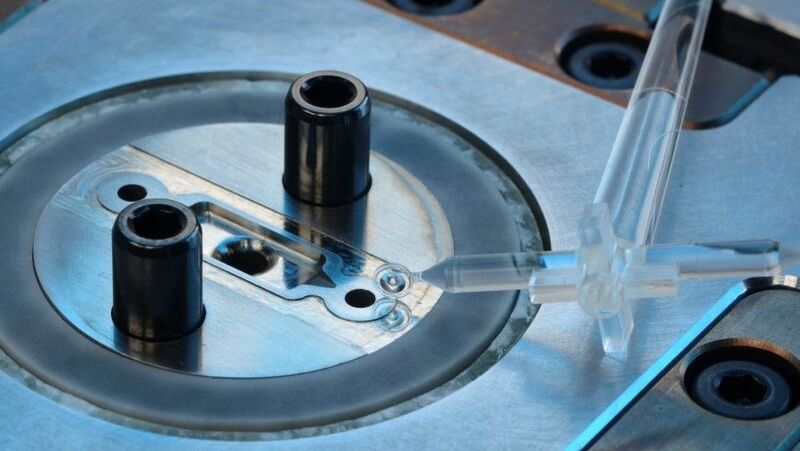 In the mass production of these high-precision assemblies, production today still reaches technological limits. The interdisciplinary HiTecMass consortium recognizes the opportunity to establish a production site for high-quality and high-precision micro-optical systems with a new production approach. 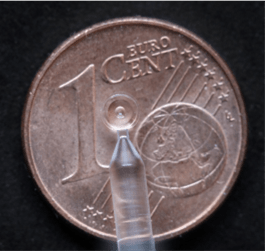 For the functionality of innovative micro-optical systems, high-precision production of the individual components, as well as exact alignment and fixing, are indispensable – often with an accuracy of a few micrometers, microradians or even smaller. In terms of mass production, capital expenditure is rising rapidly and is difficult to offset by minimising production costs – often through production in low-wage countries. This is exactly where the “HiTecMass” project comes in. This project aims at substantially decreasing the waste rate from 40-50% to approx. 5%. This is due to micro optics being much more sensitive to deviations in the production process and systems not being actively aligned in assembly process. Slight deviations will result in lenses being dumped before assembly and an out of spec system which will not pass the final quality control after assembly. The most important innovation will be an efficient value-added chain that combines cost-effective manufacturing processes for micro-optics with sensor-integrated intelligent assembly processes. A metrological characterization of the individual micro-optics directly after production, and the transfer of the information to the assembly line, enables the assembly of an entire system, which is suitable for mass production, and at the same time meets the highest tolerance requirements. With the aid of a tolerance matching process, suitable components can be combined with one another, to compensate for the tolerances of the individual optics caused by injection molding technology. We will include a 100% inspection of parts directly after injection molding. The results of this measurement will be fed back to the injection molding machine and be stored for the assembly process. During the assembly process, a computer will simulate if an out of spec lens can be combined with other lenses to give an in in-spec-system. The parts will be actively aligned to give the optimal system performance. At the end of production process, we make an MTF test to assure function of system. Currently we have produced an injection molding tool and made the first series of lenses. We are working on cutting the sprue and doing the necessary measurements using wave-front sensors (Hartmann-Shack sensors). We acknowledge the funding by the state Nordrhein-Westfalen and the EU.